All the city buzzes make you so stressed? Want to step into a green, lush, an amazing place with friendly people? There is a dreamland that is just Mekong Delta- vast marshland and forested area where most of Vietnam’s rice is grown. Mekong Delta is very famous for its fascinating floating market and fruit orchards as well as its friendly people. 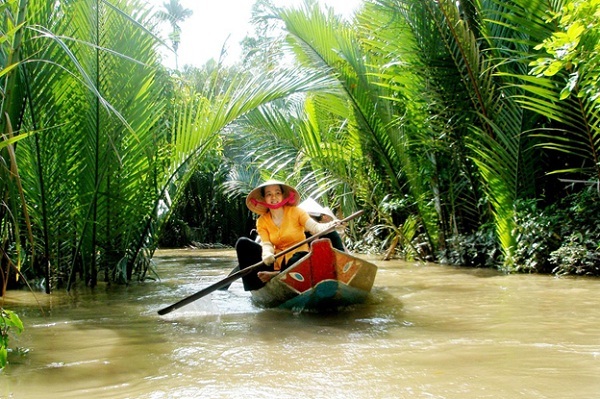 It will be lucky for you if you have opportunity to travel in Mekong Delta once in your lifetime. And a Luxury Mekong Delta Speedboat tour will be a wonderful choice for your trip. 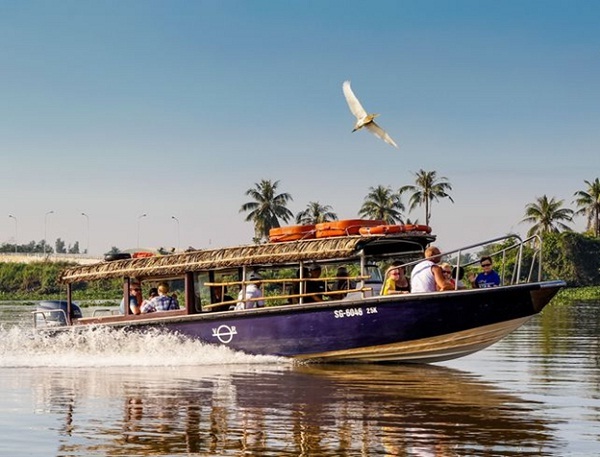 Luxury Mekong Delta Speedboat tour will bring you chance to enjoy a scenic speedboat trip through the Mekong Delta tours. Departing by boat from Ho Chi Minh City, you will explore areas of the Mekong Delta that few other tourists get to experience. You will experience the old-world river life of the Mekong, and enjoy a lesser-seen glimpse into rural Vietnam as it trundles along a slow tempo, as it has done for centuries. Depending on the route, you will then visit a local pottery workshop where arts and crafts of the Delta region are produced, and a traditional riverside house with huge Burmese pythons as pets. Then you will explore the surrounding village, rolling fields of tapioca and iconic rice paddies. If you are lucky, you will get to see the rice paddies before the harvesting season, which is a marvelous sight. Another variation of the tour begins with trying local Delta produce, as well as Mekong whisky and wine. Then walk along the verdant banks of the river to a traditional rural Vietnamese house, where 3 generations live together. In the village, your tour guide will introduce you to the house owners, who each have their own stories of life in the Mekong to share. 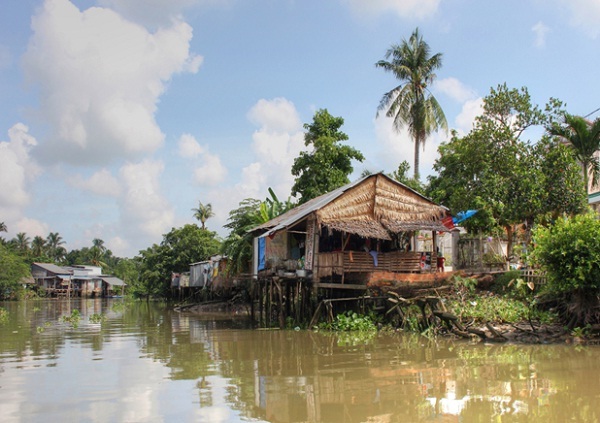 The second variation provides more of an insight into living in the Mekong Delta, and its customs and culture. 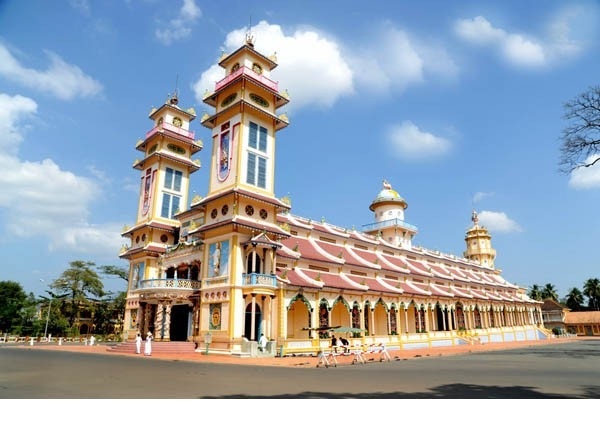 A special feature of this tour is that you will be able to visit both a Buddhist pagoda and a Cao Dai Temple. Near the Cao Dai Temple is an orphanage run by Buddhist monks, where you will hear story of the orphans who live there. In your Luxury Mekong Delta Speedboat tour, you also served a traditional Vietnamese lunch includes fresh spring rolls, caramelized pork, chicken with ginger, and the Mekong Delta delicacy, Elephant Ear fish. Experience life in the Mekong Delta by visiting a local riverside market, authentic villages, a local pagoda, various workshops, and narrow lush jungle canals will a memorable experience for tourists.